I grew up making gingerbread cookies with my (other) grandmother every year at Christmas and, honestly, other random times during the year when my childlike obsession with cookie cutters got the better of both of us. I remember all of the fun parts of making them and none of the faff, which is great in terms of childhood memories, but probably a little unfortunate when it comes to these days when I'm thinking making roll-out cut-out cookies should be a breeze, forgetting that I'm now the one who has to clean the counter after I've spent hours rolling dough on it and, since I don't have a dishwasher, also the one who has to wash all the dishes. Nevertheless, I love a good ginger cookie, so I was excited to test these two versions against each other... and boy, do we have a clear winner. First off, we have the black treacle spice-eez. These roll-out cookies were... fine. They have a nice balance of sweet to spice, and a good snap to them as well. They pair well with a cup of tea and they made the house smell amazing. 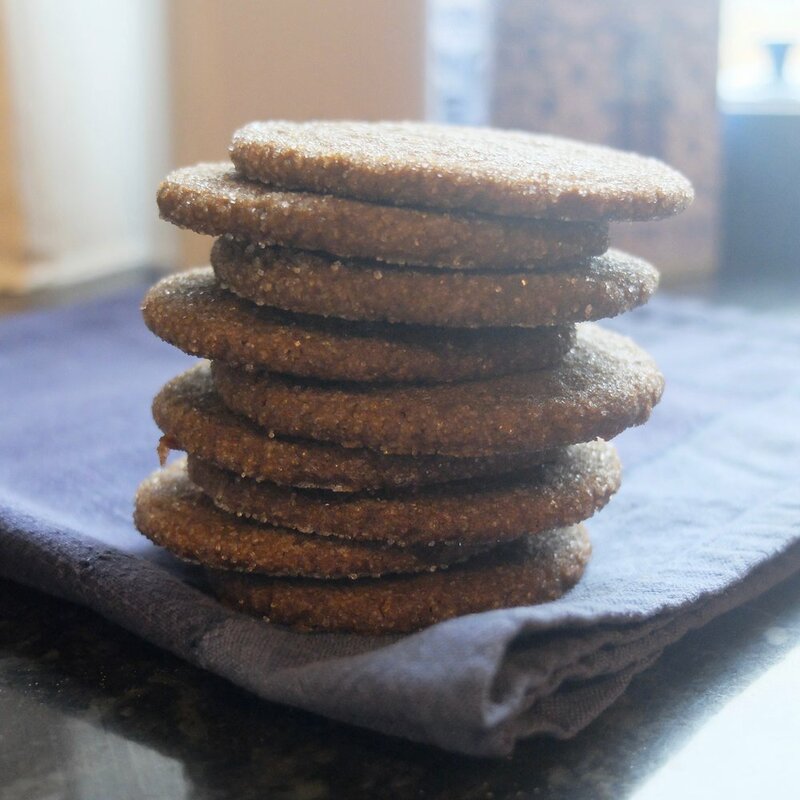 But... they were also difficult to handle, the dough expanded so much in the oven that NONE of the shapes were even close to being recognisable and there honestly wasn't much differentiating them from any other ginger biscuit I've ever had. In other words: forgettable flavour and not particularly appealing to look at. 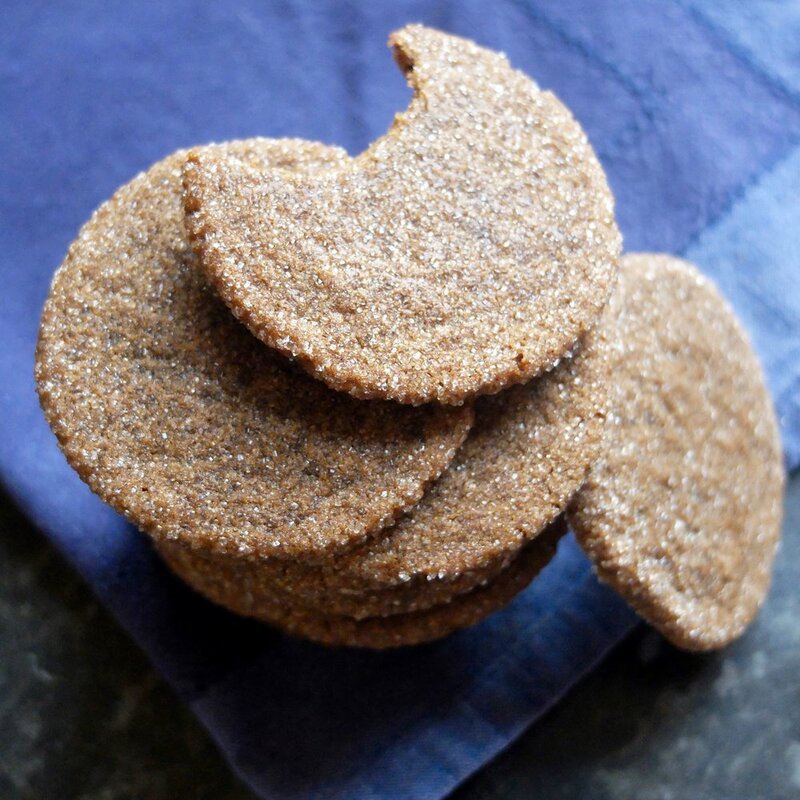 Competing to best the spice-eez, we've got ginger wafers. These cookies are... well, they're stellar. Much like the Butter Wreaths I regaled you with yesterday, these are insanely easy (one bowl! No rolling! No chilling! No decorating! ), difficult to mess up (the dough handles like a dream!) and best of all, they don't taste like any other ginger biscuit I've ever had. They're more spiced than sweet, they have a perfect crisp-around-the-edges-soft-in-the-middle balance, and because they're rolled in sugar, they literally sparkle. Also like the butter wreaths, they hold their shape in the oven, which means you don't have to worry about them expanding and running into each other, and they make adorable stacks you can give as gifts. 3 spoons out of five. The flavour is fine, if forgettable, but the massive expansion of the dough in the oven really wrecked what could have been adorable cookies. 5 spoons out of five. My new favourite ginger cookie! Add powdered sugar gradually, beating until fluffy. Add egg and vanilla, then beat well again. Blend sifted dry ingredients into creamed mixture gradually. Add molasses or black treacle, ginger, cinnamon and nutmeg and blend well. Chill at least 30 minutes or up to overnight. Once dough is well-chilled, preheat oven to 200C/400F. Roll 1/8-inch thick on well-floured surface or parchment paper. Cut with cookie cutters, then bake 5 minutes until edges are slightly darker. Grease a cookie sheet and preheat oven to 175C/350F. Add sugar gradually, blending well. Add molasses or treacle and flour, salt, soda and ginger. 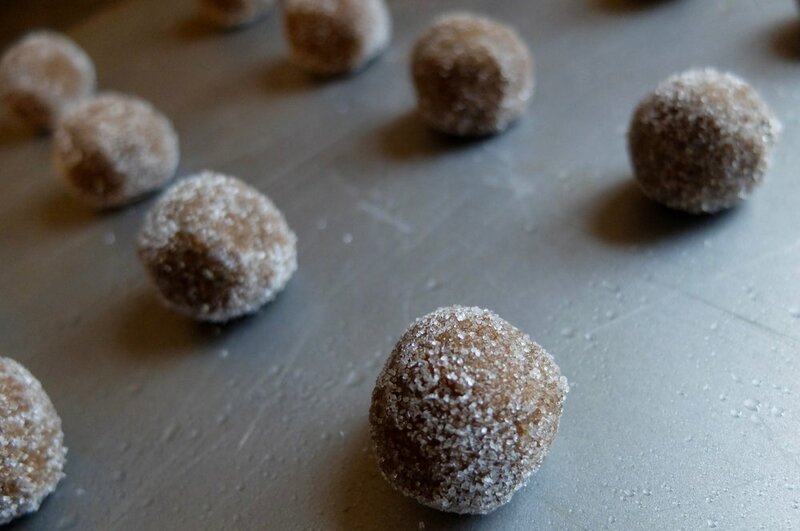 Shape dough into 1-inch balls and roll completely in additional sugar. Place sugar-coated balls 2 inches apart on prepared cookie sheet. Once cookie sheet is full, dip a glass in sugar and press each ball flat. Bake 6 minutes until slightly darker brown, allow to cool for two minutes on cookie sheet before removing to a cooling rack.